Industrial & Residential Window Cleaners Loughton IG10 | Quality Property Care Ltd.
Meet the revolutionary residential and commercial expert window cleaning! Find out how easy it is to get your windows sparky clean. Get some rest, while the experienced and well-trained window cleaners demonstrate their finest in your property. Get in touch with us on 020 3746 4287 to book more comprehensive information about our best and hassle-free services. Streaks totally free treatment with purified water only! No sticky or greasy stains after window cleaning any longer! No need to provide us any kit, products or equipment. The domestic-commercial-window-cleaners from Quality Property Care Ltd. are all very extensively vetted, trained and experienced. 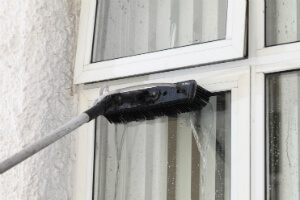 The firm has been offering professional windows cleaning to all residents and businesses in Loughton IG10 since 2005. The professionals have invested in the latest technologies in the window and other cleaning industry. The purified water telescopic fed poles they use are very efficient and safe for the windows and for PVC frames and sills. The company also delivers rope access window cleaning for windows located above the 4th floor for commercial windows cleaning and for domestic windows cleaning too. The service is very efficient and quick, and can be provided on any chosen day, bank holidays and weekends included, with no additional fee. Same day urgent windows cleaning service is also accessible. The products and services provided by Quality Property Care Ltd. are licensed and approved by a number of agencies and institutions, and are highly recommended both as a domestic windows cleaning service and commercial window cleaning service. The windows on all kind of domestic properties and commercial properties can be cleaned, if they are reachable. For higher floors the company will offer a well-equipped and skilled rope access window cleaning team.You can request sticker removal in addition. The only demand for the windows cleaning with the support of the water fed pole, is that there is an accessible parking place for the firm's van at a distance of less than 30 meters from the windows. The reason is that the tank with purified water is in the van, and it is where the water is pumped out of. To reserve the windows cleaning service, just call up 020 3746 4287 or send an online booking request immediately. The customer care service is out there, so you will receive a written verification immediately. Same day cleaning service is offered, and so is cleaning on bank holidays or weekends, with no added fee. No down payment is required for booking, and big deals are given for booking combined cleaning and maintenance services.